This Compensation Disclosure has been provided for your protection and to fully disclose any relationship between this sites product or service recommendations and the owners of those product or services. The owner of this website is required by the FTC to inform you that a relationship exists between SantasMailroom.com and some of the products or services it reviews, recommends or promotes. SantasMailroom.com makes use of affiliate relationships with merchants for monetization. This means when you click on links to various merchants on this site and make a purchase, this can result in a commission that is credited to this site. Some affiliate programs and affiliations include, but are not limited to, Amazon,CJ,Clickbank,Shareasale. The opinions expressed here are those of myself as an individual and are not necessarily the opinions of nor reflect the views of any merchants I am affiliated with.I have chosen to only recommend products and services on SantasMailroom.com that I use or have thoroughly researched. I earn a full-time living as an affiliate marketer, so it is essential that I maintain my credibility. The SantasMailroom.com traffic is increasing monthly. A lot of people who come here for advice, help and support. I take my responsibility as an affiliate and subject matter expert very seriously. 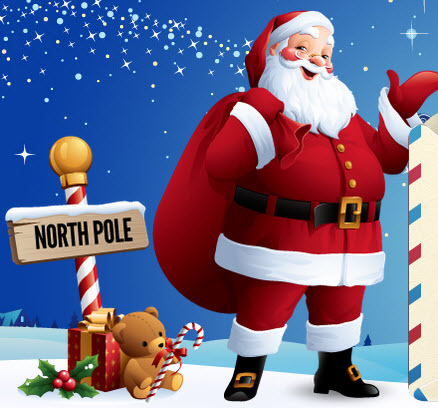 Text and image ads that appear on SantasMailroom.com are provided by third party ad agencies such as Google Adsense. I do not personally endorse the products and services advertised in these ads. These companies are not affiliated with SantasMailroom.com.